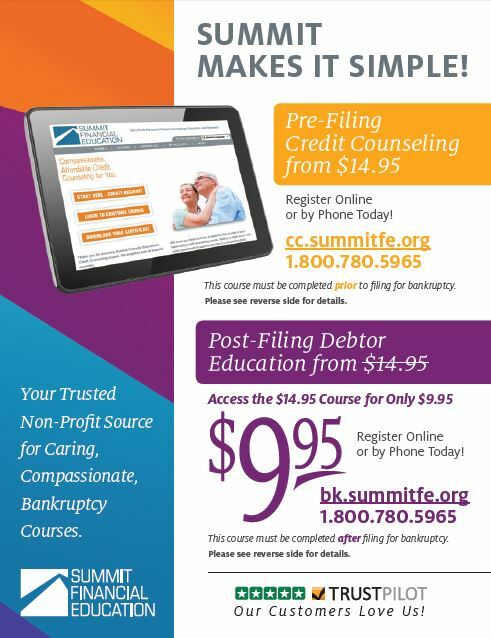 Use this page to request promotional and sample materials from Summit Financial Education. Please provide us your mailing address where you would like the materials to be shipped. When done, click on the Submit button. If you wish you receive a different quantity that is not listed in the list above, please contact our customer service center and we will be happy to create a custom package for your business. Don't want to wait for the brochures to arrive in the mail? No problem! Click on the image below to print your own copies. If you prefer to view or download our brochure in PDF format, please follow this link.